Each year, the FWCD Alumni Association celebrates alumni who have made an impact in their profession, community or the world at large, and who have shown extreme dedication to Fort Worth Country Day. This award honors persons who have made outstanding commitments to Fort Worth Country Day even though they did not attend the School as students. The award was established in 1998 and its charter class includes three former Headmasters, benefactors and many Founding Trustees. This is the highest honor bestowed by the Alumni Association. Established in 1998, this award honors an alumnus/a who has achieved prominence in his/her particular field or career and brought credit to themselves and, in turn, to Fort Worth Country Day. Established in 2001, this award is presented in recognition of extraordinary and selfless service to others, by vocation or avocation, in the local, national or international community. Recipients shall stand for altruism and as inspirations for Fort Worth Country Day alumni and others. Established in 2001 in honor of Jean Webb in recognition of her 35 years of service to students and alumni of Fort Worth Country Day, this award honors the alumnus/a who has shown extraordinary and lengthy service to the alma mater – the product of love and loyalty. This award was established in 2002 and is presented to alumni who are distinguished visual or performing artists, musicians, patrons of the arts, or art or music educators who have achieved prominence in a chosen field of the arts. FWCD's Alumni Association kicked off 2018 Homecoming festivities with its Alumni Awards Reception and Dinner last night, October 25. This year's impressive alumni honorees include Endyia Kinney-Sterns ’94 (Distinguished Alumna), Beverly Anne Robinson and Tad Sanders (Honorary Alumnae), Edward Landreth ’03 (Service to Humanity, Lilliana Vazquez ’98 (Falcon Star) and Bill Arnold ’86 (Jean Webb Service to Alma Mater). Click on the honorees' names for their full profiles from the program. Videos of the honorees' acceptance speeches (filmed for Facebook!) are provided as well. Pictured above are Bill Arnold '86, Beverly Anne Robinson, Tad Sanders, Endyia Kinney-Sterns -94 and Edward Landreth '03. Lilliana Vazquez '94 was unable to attend. Beverly Anne Robinson, known to her friends and family affectionately as Anne, joined the Fort Worth Country Day community as an Upper School English Teacher in 1971 after spending six years teaching in the Fort Worth ISD. She was hired by Founding Headmaster Peter A Schwartz H’98 and worked under four Heads of School from 1971 until 2007. Anne recalls walking into her first Country Day classroom, with 17-18 students, and feeling as if she was in heaven. In her retirement letter to then Head of School Evan D. Peterson H’15, she wrote, “With the amount of attention I was able to devote to them [students], some of them thought they were in hell.” She was happy to be teaching students in a supportive environment. View Anne's acceptance speech. Read Anne's full profile. Bill Arnold ’86﻿ has shown extraordinary dedication and service to FWCD as a teacher, coach and administrator. 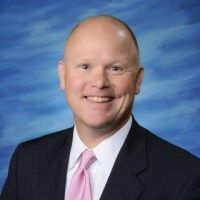 He graduated in FWCD’s Class of 1986 and went on to attend Virginia Military Institute on an ROTC scholarship, where he earned a BA in History and would later earn an MA in History from the University of Texas at Arlington. He is a Falcon legacy, attending FWCD with many family members, including his brother, Charles Arnold ’84, and sister-in-law, Laura Bonnell Alexander ’88; nephews, Will Arnold ’13 and Ben Alexander ’20; nieces, Mary-Madison Arnold ’14 and Kate Alexander ’22; and his own children Taylor Arnold ’11, Robert Arnold ’14 and Allie Arnold ’18. He has been married to his beloved, Debby Arnold, an FWCD Middle School Spanish Teacher, since 1990. View Bill's acceptance speech. Read Bill's full profile. 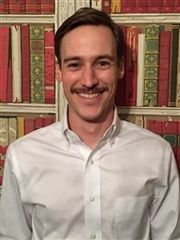 A graduate of The University of Texas at Austin with a degree in finance, Ed Landreth ’03 began his career as an analyst with J.P. Morgan on Wall Street in 2007. While in New York, Ed sought to better understand and connect with the diverse population of the city. He did so starting in 2009 through his involvement with the New York Cares volunteer organization where he spent most weekends. Within two years, he took on a leadership role and expanded the organization’s literacy program to a new neighborhood in Brooklyn. This commitment to volunteering and improving lives inspired a career change. In January 2013, Ed left Wall Street to work with a nonprofit organization in South America for several months before enrolling that fall at Johns Hopkins University for a Master of Arts in International Development. View Ed's acceptance speech. Read Ed's full profile. Endyia Kinney-Sterns ’94 is an accomplished television producer and network executive with over 20 years of entertainment television experience. 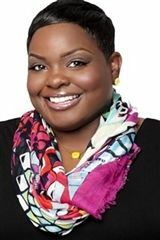 Named one of the “Top Female Executives in Hollywood” by Essence Magazine, Endyia has been instrumental in identifying and developing new programming for various networks. Most recently, as Vice President of Development and Programming for OWN: Oprah Winfrey Network, Endyia oversaw the day-to-day development of new original programming, including popular docu-series and was an integral part in developing new series and pilots. Her entertainment television experience expands to producing shows for VH1, CBS, NBC, HGTV and production companies like Buena Vista Television, Arnold Shapiro Productions and LMNO. View Endyia's acceptance speech. Read Endyia's full profile. Lilliana Vazquez ’98 is one of the most sought-after personalities in the industry, acting as host, influencer, style advisor and producer to the biggest names in entertainment, both on-air and online. She has quickly become one of the most watched, multifaceted talents thanks to her signature brand of approachability and her unique ability to capture an audience’s attention. On NBC’s TODAY, Lilliana shares her experiences and expertise with millions of viewers, covering the latest in technology, business, travel, entertainment and lifestyle. As a correspondent for Access Hollywood, Lilliana leads coverage on the biggest names in entertainment, and she is the show’s secret weapon on Hollywood’s most important red carpets like The Golden Globes, Emmys and The Met Gala. View Lilliana's acceptance speech. Read Lilliana's full profile. Tad Sanders taught English and History at Fort Worth Country Day from 1966-71 and 1986-2002. She joined the FWCD community as an English Teacher in 1966 and also assisted with the theater. After five years, Carl, an Air Force pilot who often moved during his career, was relocated. When he retired, they returned to Fort Worth in 1984, and Tad returned to teaching at FWCD in 1986. She continued as a History Teacher also assisting, occasionally, with the theater. She retired in 2002. Tad particularly enjoyed working with the various theater productions, the school trips to Austin and San Antonio, and the choir trip to Europe. View Tad's acceptance speech. Read Tad's full profile.